Charles Rowland has been practicing law since 1995. He concentrates solely on defending DUI cases and has gotten extensive training and certifications to support his ability to defend his clients successfully. Earlier in his career, he served as the Xenia City Prosecutor and has served as a “Special Prosecutor” on high-profile felony cases. Charles has been qualified by the United States government as an expert witness on evidential breath testing and has testified in court martial proceedings. 2009 and 2012. Intoxilyzer 8000. Charles Rowland attended the National College for DUI Defense Annual Scientific Evidence Seminar where he received training on the Intoxilyzer 5000 and further training on the Intoxilyzer 8000. 2007. Intoxilyzer 8000. Charles Rowland was the first private attorney in the State of Ohio certificated on the Intoxilyzer 8000 breath testing machine. 2006. BAC DataMaster Breath Alcohol Testing Instrument. Charles is a proud member of the National College for DUI defense and in 2006 attended the intensive seminar on DUI law at Harvard University. National Patent Analytical Systems has certified Charles Rowland in the operation, diagnostic verification and calibration of the BAC DataMaster Breath Alcohol Testing Instrument. In 2008, Charles M. Rowland II was the first attorney in the United States to earn a certificate in Forensic Sobriety Assessment. FSA certification requires proficiency in the scientific principles and research relating to sobriety testing in a DUI/OVI stop. It subsumes the NHTSA training (knowledge of the NHTSA manual is required) and greatly extends it. Charles Rowland is currently the only of very few attorneys in the country to hold FSA certification. In 2010, Charles M. Rowland II attended the most current NHTSA training wherein he was trained to administer and evaluate the standardized field sobriety tests . This is the same NHTSA/SFST training course that law enforcement officers are trained in nationwide and testify to in court. Charles Rowland is certified in the Drug Recognition Expert protocol, a tool that will help him defend drugged driving cases. Charles is a frequent speaker and a prolific writer on all matters related to DUI defense. The DaytonDUI Blog was chosen for inclusion in the prestigious ABA Journal of Legal Blogs . 2011. Charles spoke to the Dayton Bar Association on evidential breath testing. 2012. Charles was honored to be one of only two DUI defense attorneys chosen to speak to Ohio’s prosecuting attorneys at the Ohio Municipal Law Institute. Ongoing. He continues to provide help to the Greene County Career Center Police Academy by conducting cross-examination/courtroom training for new officers as part of their ADAP/NHTSA training. 2013 – 2014. He was chosen as a Dayton SuperLawyer (2013 & 2014). 2013. Charles was featured as a “Top DUI Attorney” in both Time Magazine (August 12, 2013) and Car & Driver Magazine (May 2013). 2014. Charles Rowland became a founding member of the National DUI Lawyers Association and the American Association of Premier DUI Attorneys. In addition to education and awards & certificates, Charles M. Rowland II has a wealth of real-life experience and community service. He was the 2004 Ohio State Bar Foundation recipient of the Community Service Award for Attorneys under 40 years old. In 2005, Charles Rowland was given the singular honor of being named a Fellow of the Ohio State Bar Foundation. In 2006, Charles Rowland presented a seminar on standardized field sobriety testing before the Greene County Bar Association. Charles M. Rowland was a co-recipient of the 2006 Beavercreek Chamber of Commerce Public Education Award. 2003-2005. Charles served as President of the Board of Directors of TCN-BHS, Greene County’s Drug and Alcohol provider. In 2009 Charles re-joined the board. In 2008, contributed to a revision to Anderson’s Ohio Civil Practice along with the judges of the Greene County Common Pleas Court. He has also been a Wright State University Visiting Professor of Political Science for the University Honors Department. Charles Rowland has appeared on television, radio and in newspapers, authoring DUI-related articles for the popular “Ask an Attorney” section of the Xenia Daily Gazette, the Beavercreek News Current and the Fairborn Daily Herald. He makes regular appearances on “The Brews Brothers” on WHIO radio. Bar Associations. 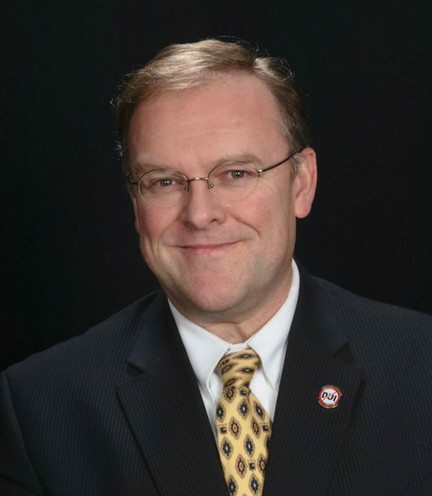 Charles Rowland is a proud member of the Clark County, Dayton and Ohio State Bar Association and has served as the President of the Greene County Bar Association from 2008-2009. In 2012, Charles received the honor of being named a Fellow to the American Bar Foundation. Charles continues his volunteer work by serving on the Board of Directors of TCN-BHS and advocating for quality education.